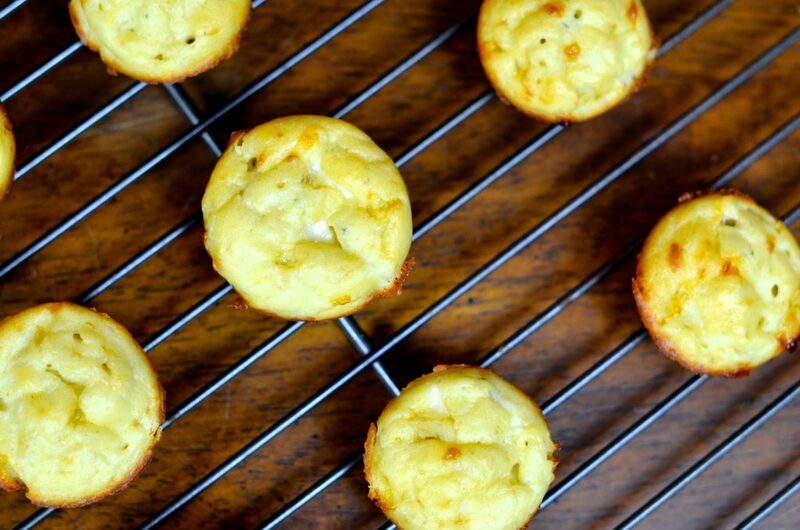 These six-ingredient blue cheese puffs are easy, delicious, and only two carbs! One of my favorite pastimes is to flip through old Louisiana-based cookbooks looking at the gem of recipes of our past. From the old church cookbooks our grandma’s owned to the newspaper clippings Maw Maw saved in an old recipe box, old fashion recipes never disappoint, but the recipes tend to be loaded with lard, Karo syrup, and Crisco. Have no fear, Skinny Louisiana is here! I am turning my fun pastime into developing recipes that fit in a low-carb, low-sugar, heart-healthy lifestyle. The first recipe comes to us from the cookbook, Cooking Up a Storm. 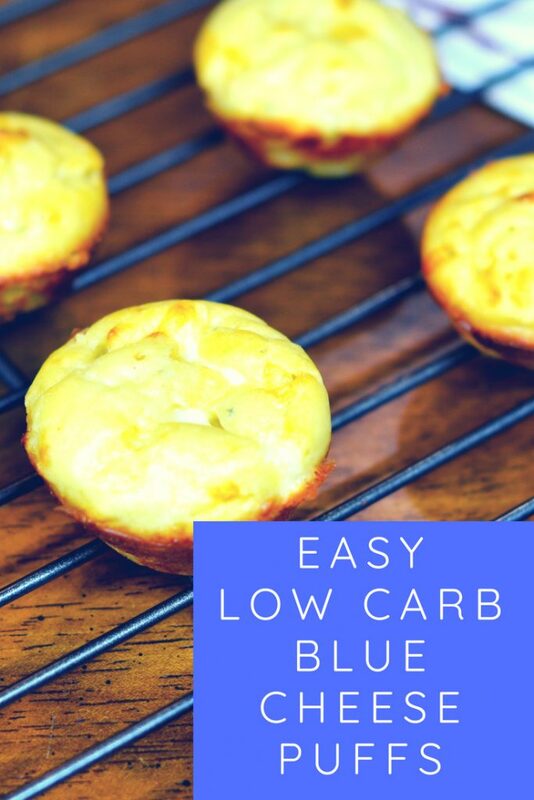 We transformed these Blue Cheese Puffs into a low-carb treat the entire family will love using our simple, secret ingredient, Carbquik. Carbquik is a staple in the Skinny Louisiana kitchen and works perfect in low-carb, diabetic- cooking since it is a high-fiber flour, yielding lower-net carbs than traditional all-purpose flour. Carbquik can be found at any Drug Emporium/Vitamin Plus stores. No Drug Emporium in your area? No problem, you can purchase Carbquik through Amazon by clicking here – https://amzn.to/2OcU7xU. Carbquik can transform all your personal favorite recipes to low-net carb, high-fiber with a simple 1 to 1 ratio of flour to Carbquik. For example, if a recipe calls for 1 cup of flour, use 1 cup of Carbquik in its place. PS – Be sure to comment below if you have any ‘older’ cookbooks I should flip through for recipe inspiration. In a medium saucepan, bring butter and water to a boil. Remove from heat, add Carbquik. Stir with a wooden spoon until mixture leaves sides of pan and forms a ball. Let batter sit for 15 minutes. 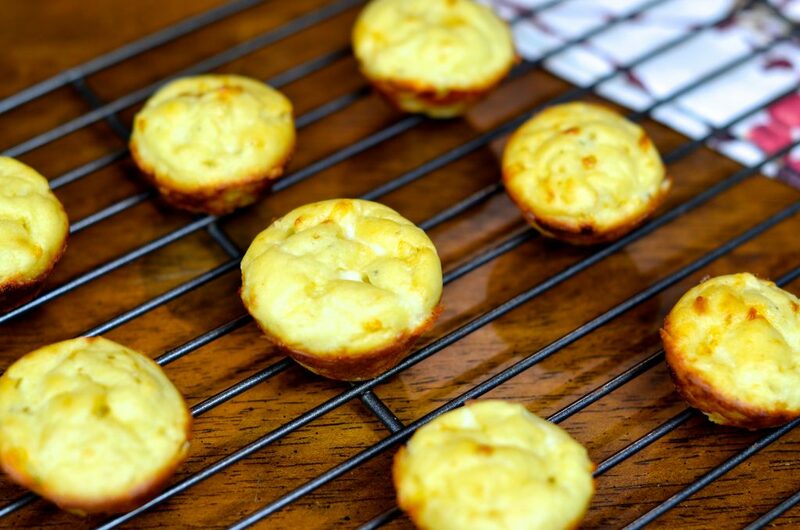 Spray small muffin tin with non-stick cooking spray. Nutrition Facts per 1 mini muffin: Calories: 25, Total fat: 2g, Cholesterol: 20mg, Sodium: 45mg, Total Carbohydrate: 2g, Total Fiber: 1g, Net Carbs: 1g, Protein: 2g. Shelly Marie Redmond, MS, RD, LDN is a culinary dietitian and Founder of Skinny Louisiana. She is the author of Skinny Louisiana…in the Kitchen and works with Drug Emporium stores as their culinary dietitian.